Chosen materials and Yamaha’s unique ability to blend traditional skills with advanced manufacturing techniques delivers a guitar of exceptional quality at a price that is hard to beat. 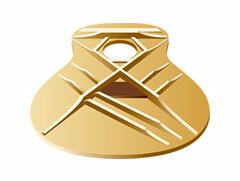 SKU: LS16 Categories: Acoustic Guitars, Semi-Acoustic Guitars Tags: ls16, yamaha Brands: Yamaha. With a solid Engelmann spruce top, multilayered mahogany/rosewood reinforced neck, and ebony fretboard, the Yamaha LS16 acoustic guitar can be judged an excellent deal on materials alone. Yet where this jumbo really shines is on the strength of its handcrafted construction by expert Japanese luthiers. Every step in the creation of this excellent instrument, from tonewood selection to hand-sanding the frets, is done in a small factory by master craftsmen. Yamaha uses solid rosewood for both the back and sides on all the LS16. The rosewood blends extremely well with the Engelmann spruce top. It disperses resonance evenly and effortlessly. 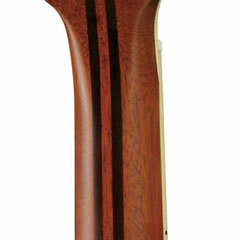 The LS16 model features a strip of rosewood set into the center of the mahogany neck. Rosewood has been chosen for its rigidity and the way it complements mahogany tonally. The unique larger bridge on the LS16 provides a more efficient transfer of the string vibrations to the body of the guitar, giving a tight, clear midrange and a full, balanced tone. Handcrafted with chamfered edges, the bridge design offers a perfect balance of tone, comfort, and style.